Patrick’s career includes working as a commercial lender for 13 years then taking time off to stay at home to raise his two children. After a four year break, he returned to banking as a commercial lender in Ann Arbor for four years. 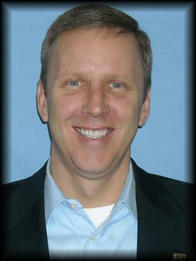 In 2011, he joined Fifth Third Bank as a business banking relationship manager covering Southeast Michigan. He chose Fifth Third Bank because they are committed to helping business owners meet all of their financial needs through various banking solutions. With his resources and experience, Patrick delivers the right financial solutions to meet his clients’ unique needs. He takes a consultative approach to position his clients’ for long term success. Patrick grew up in Grand Rapids and moved to Ann Arbor after graduating from Western Michigan University. He lives In Ann Arbor with his wife who is a mortgage originator. They have two children. Their daughter lives and works in Kalamazoo and their son attends the University of Detroit where he plays soccer for the Titans. In Patrick's spare time, he enjoys traveling and spending time at their lake house in Holland, MI.